Originally constructed in 1964, this sanctuary remained without change until the mid-2000s when the Temple decided to undertake a major redesign to reflect changing service needs. 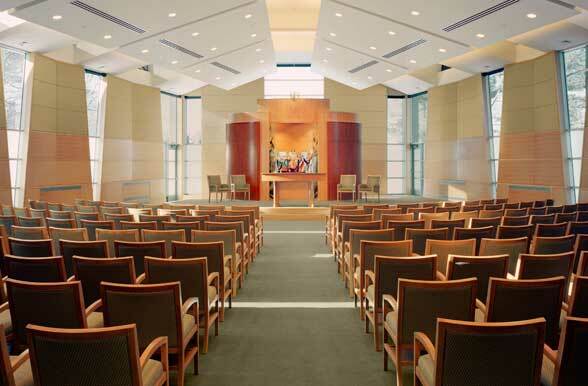 The existing Bimah was lowered, reconfigured, and made accessible; a new free-standing wood ark was designed; pews were removed and replaced with moveable seating; window systems upgraded; and new window openings created. In addition to new floor, wall, and ceiling finishes, the sanctuary received complete new lighting and mechanical systems. 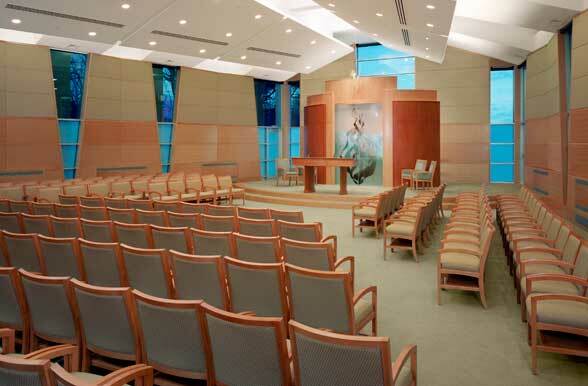 As part of the project, the Temple's lower floor area under the sanctuary was replanned and upgraded for multiple uses, including a large meeting room.